I've been wondering about this one. Thanks for reviewing! I have to jump over my own shadow time and time again to read novels in verse. I inevitably end up liking them, Orchard, for instance, but I have to force myself to read them. What is that about? This sounds like a wonderful book, Sarah. I'd love to read it and I'll add it to the wish list for my great nephew. Just read a children's picture book by this same author ... looking forward to reading this one as well. Thank you for the wonderful review, as always. And ... gorgeous pic! I'm planning to buy this for my daughter for Christmas. As I haven't yet read it, I was glad you reviewed it. I don't easily gravitate toward books in verse. (I love the image of Stacy jumping on her shadow!). Thanks for reviewing, Sarah. 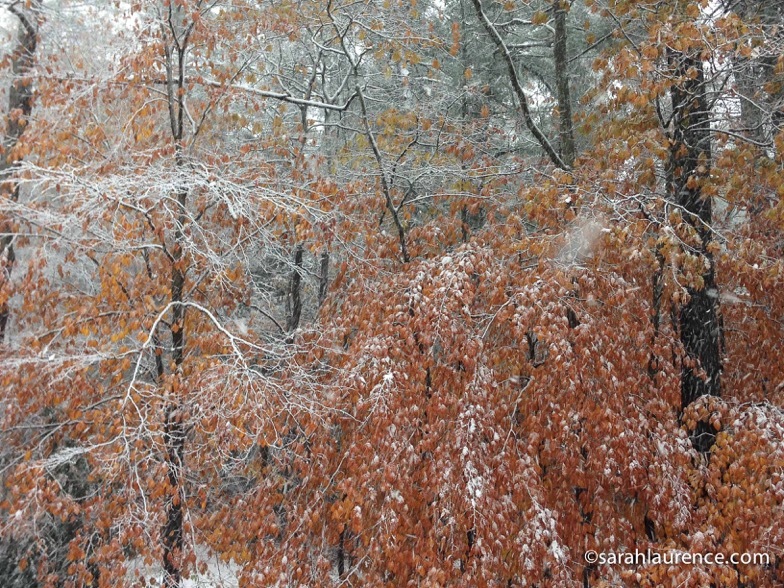 And thanks for the fall photo. I miss that! This sounds wonderful. Thanks for reviewing it. I usually don't like books written in verse either, nor do I like books written as a series of letters. But I do love poetry, and the excerpts here are so moving--perhaps I could read this in short spurts over time. I'm not surprised you've had a snowfall! Hope it has all melted away by now. It is a lovely review. What I liked the best about it and I guess the reason why I would consider buying the book is that it seems to me Jacqueline follows no conveitonal rules. I also agree with your comment on the NYT position on the book title. Can we just let literature be what it is, literature? What a lovely, unusual and necessary voice to be heard from. It sounds as if it's a beautiful book that's sensitively written. I appreciated your lovely review, Sarah. I'd like to read this book. I am too way over 10 and up,however, reading whatever book in English is challenging without translation. I'll try anyway. Your photo makes me shivering with cold. Now autumn color is getting beautiful around here. I've heard so many good things about this book. I should try it, even though I'm not a memoir fan either. Stacy, Linda, Patti, Rose, Liviania, thanks, I enjoyed your book reviews too. Kelly and Cynthia, thanks, nice to see you back online! ACIL and troutbirder, I’d love to hear your family’s reaction to this book. Amanda, Rose, and Cosmos, the snow melted within a few days. It’s been an otherwise unseasonably warm November. No complaints other than the fear of climate change! Cosmos, I admire you for tackling literature in your second language. I think it would be just your speed since it is pretty easy to understand for poetry but still sophisticated enough for adults. It’s written for children but not childlike. 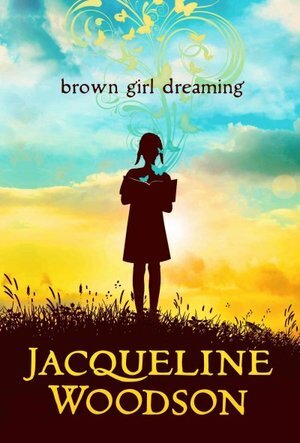 Update: Brown Girl Dreaming won the National Book Award for Juvenile Literature.